In 2012, I designed and made myself a desk writing pen. 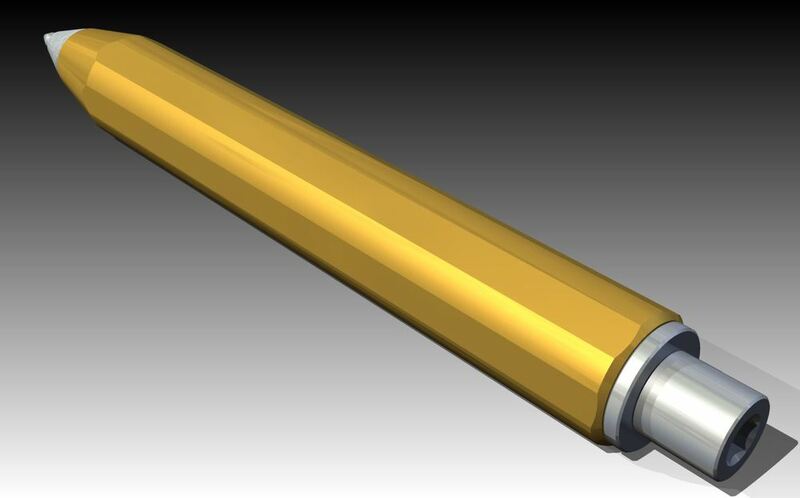 I used the Fisher PR4 medium point pressurized "space pen" cartridge, and made the body from brass hex stock and the fittings from 303 stainless. I made all of the parts myself on a Hardinge manual turret lathe. 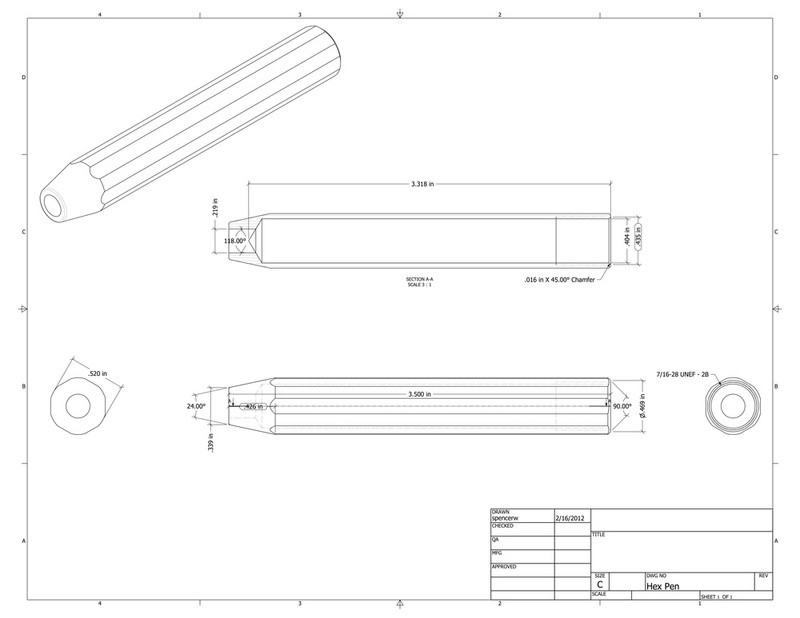 Eventually I'd like to adapt the design to be a retractable "click" pen, but doing so with manual tooling would have been cumbersome and time consuming. For now, this remains a workhorse in my stable of writing implements.